A Modernist ebonized bar cart. 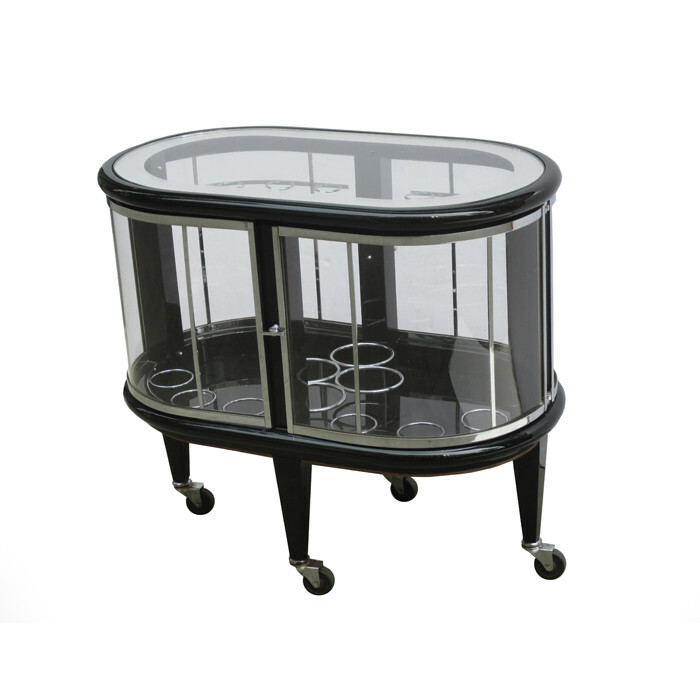 Black lacquer with polished nickel details, glass top with mirrored outer border and glass doors. Dimensions: H: 25½ W:28½ D:17 Inches.